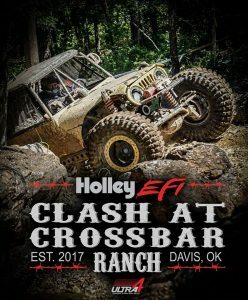 Come see the Ultra 4 race in Davis, Oklahoma on May 19th and 20th – Ramsey will be on-site with lots of Ramsey goodies to give away to off-road enthusiasts! For the first time ever, ULTRA4s are heading to Oklahoma! 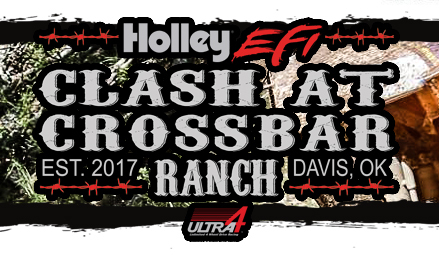 60+ drivers are expected to participate in the first annual Holley EFI Clash at Cross Bar Ranch. This is the first race in the Spidertrax Eastern Regional Series. Cross Bar Ranch features more than 6500 acres and is located in the Arbuckle Mountains — an easy drive from both Oklahoma City and from Dallas, TX. Ramsey sponsored Olympus Racing will be competing in the race with their off-road beast, Zeus. Officially organized in 2012, Olympus Offroad Set out to take on the Off-Road World by Storm. In house Brands such as Zeus Lighting and Arachni Synthetic Winch have aided in Propelling Team Olympus into the Racing World. Dirt Riot – Ultra4 and King of The Hammers are among the Top of the List. Currently Team Olympus Has two rigs racing with another on the way. Go give them a Like and Follow here. 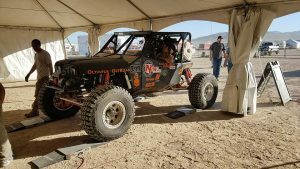 This family-friendly spectator event serves as a qualifying race for the 2018 King of the Hammers off-road race and festival in Johnson Valley, CA on February 2, 2018. There will be a centralized area with an obstacle short course, vendor booths and grass hillside seating where you can watch the race and concert plus view the live Jumbotron. A VIP tent is available as well, as are a few unique spectating locations accessible with off-road vehicles. Food vendors are open during the day; a drive-in movie night at the Jumbotron will take place Friday night, and a concert will follow the races on Saturday. Come out and bring the family to this one-of-a-kind off-road racing, live music and outdoor recreation event! Ultra4 is unlimited, 4 wheel-drive endurance racing. The marriage of Rock-Sports and off-road racing yields an absolutely brutal challenge. From the trails of the Hammers, to the barren wasteland of Nevada, to the hills of Pennsylvania, Indiana, Kentucky, Hammerking Productions expands across the nation and continent. Hammerking presents Ultra4 racing. Unlimited 4-wheel drive endurance racing just got bigger.